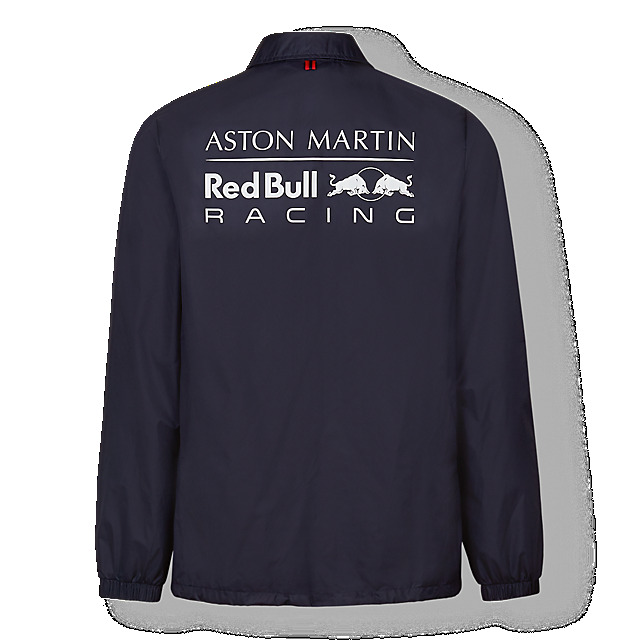 Lightweight and versatile, the Aston Martin Red Bull Racing Marque Coach Jacket is a great way to show your pride on race day or any day. 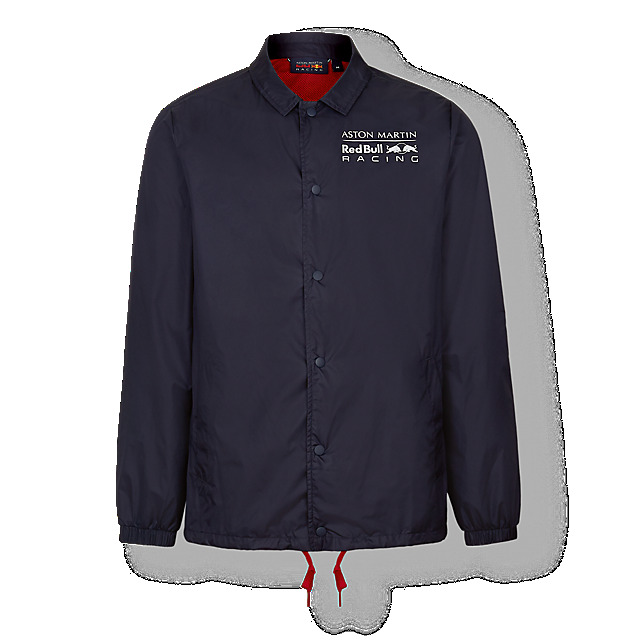 Designed in navy, it features an Aston Martin Red Bull Racing logo on the front and a larger logo on the back in white, and has a classic collar and popper fastenings for comfort. Elasticated cuffs, an adjustable hem and two side pockets will keep you cosy.